Two years since they made their last record and moved to Melbourne, The Northern Folk are back with more. With their trademark dual vocals, roaring horns and diverse song writing refined ever further, the ten-piece are proud to release their third album ‘Watermark’, featuring the singles ‘Cold’, ‘Atticus’ and ‘Get On’, and they’re coming to The Cube to celebrate, with special guests The Maes and Patrick Lionel. 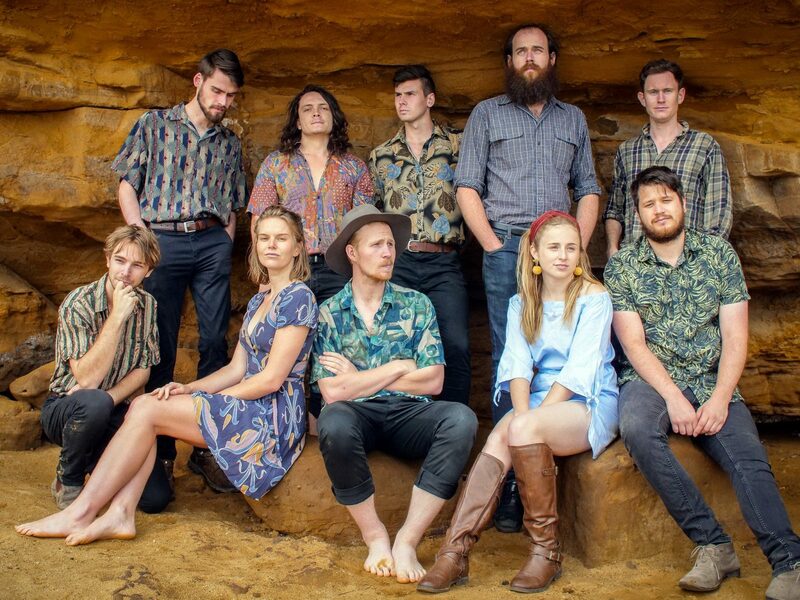 Their live shows, with a “strength of performance second to none” (Beat Magazine), have taken them everywhere from small town halls and pub stages to some of the largest festivals in the country, including St Kilda Festival and Woodford Folk Festival, and this show promises to be one of their biggest yet, open to all ages. Come join The Northern Folk at the The Cube in April, as they return for their first headline show on the border in a year.